This week as part of the Weekly Virtual Book Club for Kids, we are reading Time for Bed by Mem Fox. 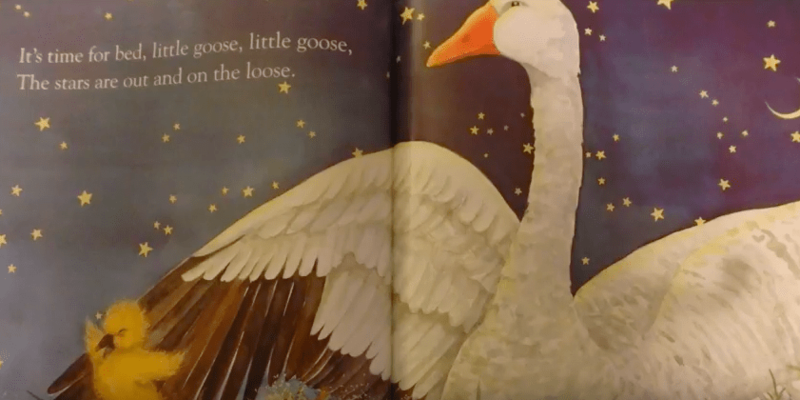 This book is about saying goodnight to all of the animals in the book. It is beautifully illustrated and all of my kids love checking out the different backgrounds in the books, and the habitats of the animals. 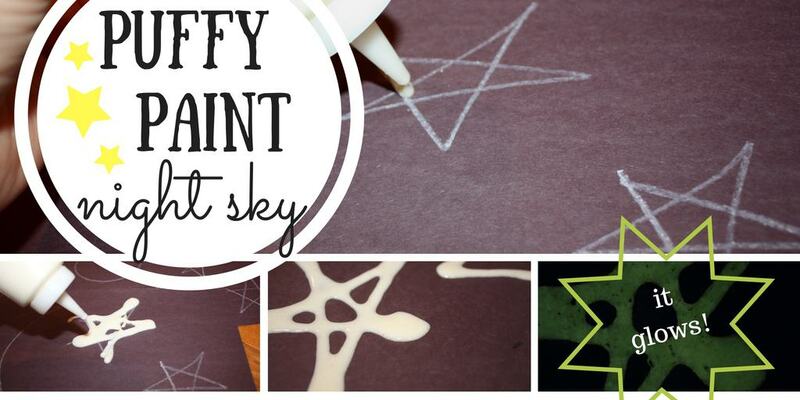 There are some really nice starry skies in the book, which was the inspiration for our glow in the dark, puffy paint night sky! Combine all dry ingredients, then add the water and paint. Mix well with a whisk until you get a pancake consistency. Pour the mixture in to a squeeze bottle. Optional. Add food coloring to the mixture. We used black construction paper and a while crayon to draw some basic star and moon shapes as a template. Have your child use the squeeze bottle to paint on the lines or fill in the shapes that you have drawn. Depending on the type of glow in the dark paint you used, follow the directions on the bottle to see if you need to activate the paint by placing under a UV or direct light. Turn off the lights, and watch your night sky glow! My kids completing this project were 1 and 3, so even with the template, the night sky was a pretty abstract rendition in most cases. But, they knew what they were making, and loved watching their stars and moons light up! Using a squeeze bottle is great for motor skills, and tracing a template is also excellent pre-writing practice. 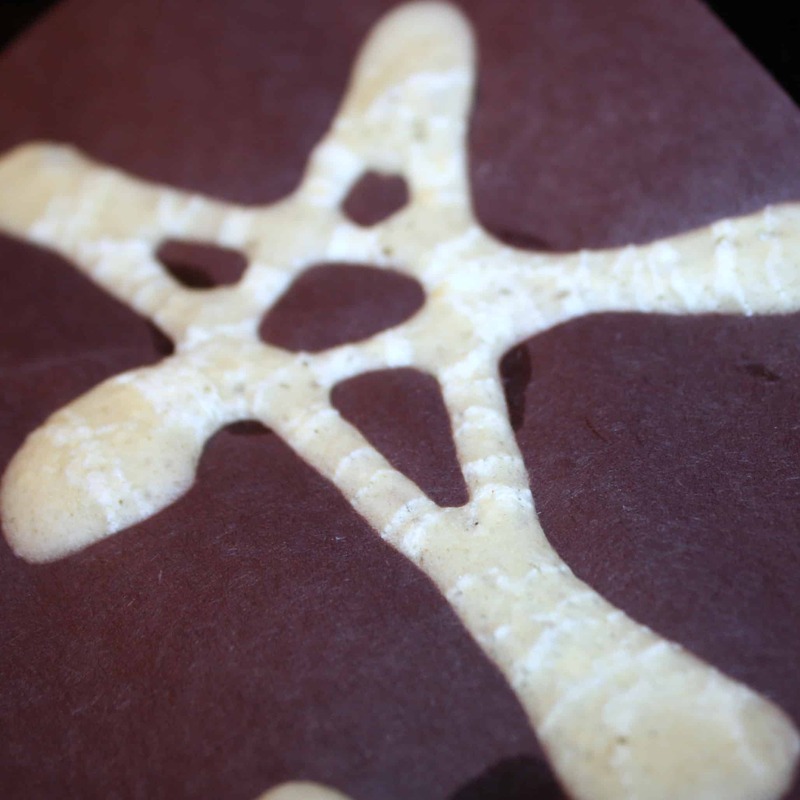 See more activities from the VBC! This looks like so much fun! 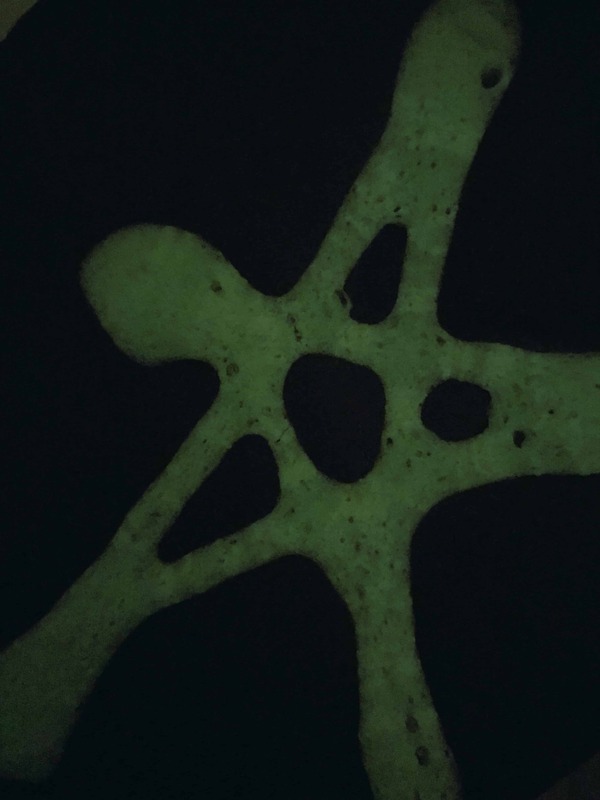 My kids love ANYTHING that glows in the dark!! 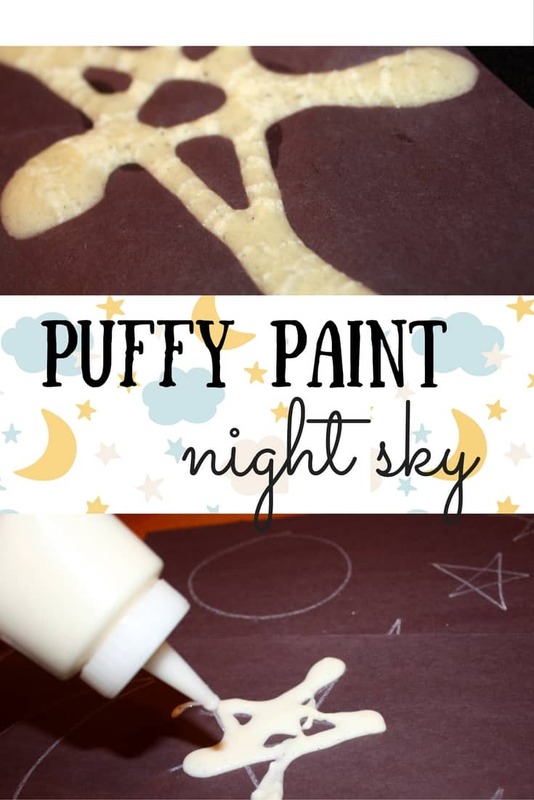 We love puffy paint and using glow in the dark paint for the stars is perfect. The kids will love this art project!